Are you a gym bunny but you’ve never tried an indoor cycling class before? I’ve been there. I’ve done it. Many times. It can scare people off. Just looking at those red faces in the gym vigorously pushing their pedals to please the shouting instructor. It looks hard doesn’t it? You may think it’s not for you, but anyone can do it and with a little bit of preparation it will be much easier and less scary than you might think. Just follow my advice and you will survive. If you haven’t been active in a long time I would strongly suggest you build up your fitness first before attending your first indoor cycling class. In this way indoor cycling won’t feel like something where you think you are going to die. My first indoor cycling class was like that. It was 30 minutes long and I really struggled. During the workout I felt like either I was going to faint or be sick at any time. At the end I survived but it really put me off! Don’t do the same mistake and try and build up your fitness before so it will be less of a struggle for you. What I would suggest you do is start slowly by cycling for 10 minutes on a low to medium intensity 3 times a week to begin with. Every week increase your minutes (by 5) and if you feel comfortable also increase your level. Listen to your body and do what feels right for you. After 4 weeks you should be on a medium to harder level and be able to do at least 25 minutes of cycling without a break. This will make your legs stronger and better prepared for your first indoor cycling class. This is exactly what I did before I gave an indoor cycling class another go (this time in another gym) and while the workout was still intense, I felt I was in a much better position than if I just went without any preparation at all. If you pick a good instructor, you will enjoy it more. Instructors have different taste of music and what they play and find motivating may not exactly work for you. Also, some instructors are better at guiding the whole class than others and understand that not everyone will hear what they are shouting so they repeat it twice within a couple of minutes. I’ve tried classes from different instructors and sometimes I felt a bit lost, having not heard the instructions which have not repeated again. So how do you find a good instructor? It’s simple – choose the most popular class. This will be the class which is always full and the best way to find out about it is by asking at the gym’s reception. Indoor cycling classes start on time and you need to make sure you arrive early so you have enough time to find your perfect bike and set it up correctly. When the instructor arrives he/she will help you set up your bike so it feels comfortable for you. Choose a bike from where you can see instructor clearly, whether that’s in a first, second or last row – this will make it much easier for you to follow the routine. Seat: Is it comfortable and not moving? Is the bike wobbly? I’ve been on a wobbly bike before! Before the class starts get on the bike and if it moves when you cycle, the solution is as simple as tucking some paper underneath the bike. 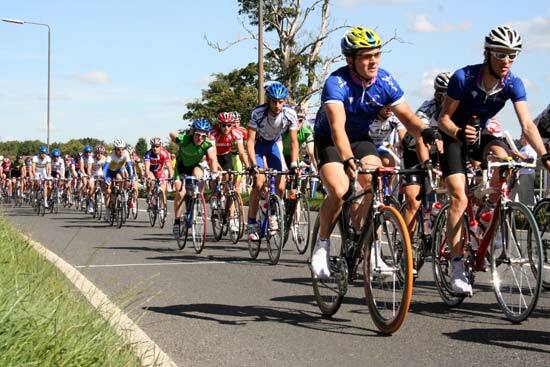 Pedals and straps: Can the straps be adjusted so you can secure your feet safely? Are pedals moving smoothly? When the room is full of people who sweat a lot it can become really warm quite fast. Wearing breathable and moisture wicking clothes will make your workout much more comfortable. Trust me. I’ve tried cycling with normal cotton clothes and moisture wicking clothes. There IS a difference. However, if you don’t have the right clothing yet don’t be put off – go to the class, just make it a priority to buy more suitable clothing as soon as you can. Towel is essential if you sweat a lot so you can easily wipe yourself when needed. If you forgot your towel, don’t worry, you can still use paper towels or tissues instead but bring plenty. You never know how much you will really need. This may sound obvious but I’ve seen people coming to an indoor cycling class with no drink. I made this mistake when I went to my first class as well. Luckily, it lasted only 30 (long) minutes but at the end my mouth were feeling like a dessert. So, bring a bottle of water with you! If you forgot it at home you can normally buy it at the gym, so no excuse! It’s important to take regular sips of water during the workout to replace the lost liquid and this will also help you keep going for longer. During the duration of the class you will cycle through various levels as instructed, however you don’t have to be at the level everyone else is on. Do it at the level you are comfortable with. Once your legs get stronger, you can adjust your levels and challenge yourself more. It’s up to you but don’t feel bad when you are ignoring instructions and do it at your own pace. The most important thing is that you are doing it. Indoor cycling classes include intervals when you pedal as hard as you can on a certain level and this is then followed by a short rest when you are pedalling slowly. Sometimes I find that breaks between the intervals are too short and I am still trying to catch my breath when the next interval starts. When that happens I just rest for a few more seconds before proceeding, but you can rest as long as you need to. You can even skip the interval altogether and just slowly pedal instead. The next one you do, you can do it better then. So there you have it. All the advice I can give you about indoor cycling classes. You now have everything you need to become a spinning master. So no more excuses! You should definitely try an indoor cycling class as YOU control the intensity and the level. You can make it easy to start with.. I am glad you liked it Bexx! I am also quite fit but the spin classes never get any easier.. Thanks for reading! Sorry to hear about your arm, it’s good to see that you’ve been still keeping active. I am glad you liked my tips and hopefully it won’t be long before you give a spinning class a go. Totally agree with you about the nutrition, definitely an important factor! Awesome post and thanks for sharing this post . As this post includes several helpful tips to survive an indoor cycling class . to arrive early for indoor cycling class , as cycling class start on time & their should be a time flexibility for those who comes to these class . Therefore be exactly on time for these classes are really important & helpful . Bike selection and bike checks also matters therefore its important to choose a bike from where the instructor could be clearly seen , so that it becomes easy to follow the instructor . Checking the seats , pedals and straps will be comfortable & helpful . HAVING THE RIGHT CLOTHES & BRINGING THE TOWEL will be helpful for these classes . Its always important to wear that clothes that should be comfortable for workouts otherwise it will distract us . Having breathable & moisture wicking clothes is a good idea and will be comfortable for doing the workouts . It is really important to stay hydrated during the indoor cycling classes . Regular drinking of water is necessary to keep going on for longer & will helps to replace the lost liquid during the workouts . It is always important to do the workouts at the comfortable level . Helpful tips . 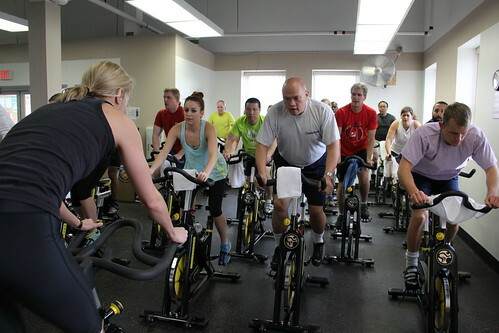 Your all tips are effective to survive an indoor cycling class and will be effective for those who follow these tips . Nice post! I think my first biggest mistake was trying to keep up with everyone else. I had flabby thighs and was convinced that a joining a cycling class would help shed the excess layers of fat. After my first session, I never wanted to go back. I mean I was so tired and my entire body was aching. But then, my determination to shed a few pounds lead me back to the spinning class. But I decided to take it slow and take breaks when necessary. Its now two weeks and I have to say I am really enjoying it. My body isn’t sore anymore and I’ve lost some weight as well. Thank you so much for this post. Wish I could have stumbled on it when I first started out. But either way, its still a great resource!